We strive to cultivate awareness and sensitivity to those who are denied their human rights or the opportunity to realize their aspirations. We strive to establish solidarity with the oppressed, through actions to remove the cause of their suffering, especially where injustice lives. 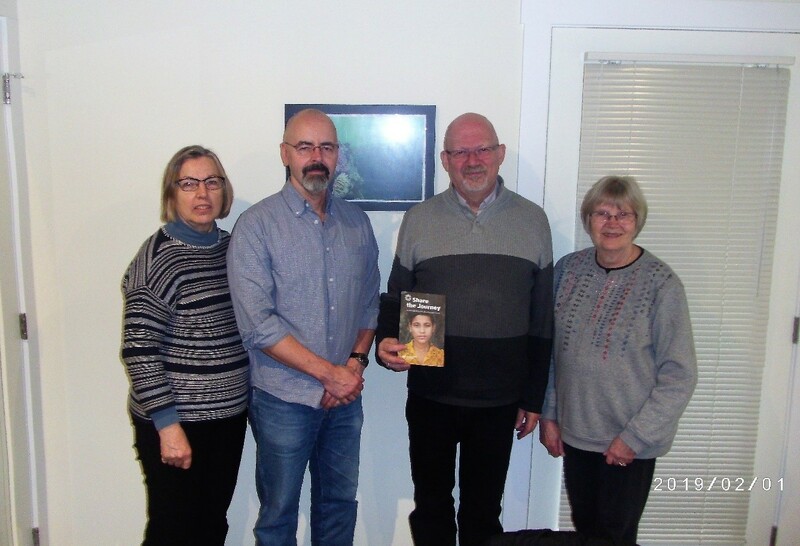 The Sacred Heart Parish Social Justice committee had the opportunity to visit MP Randall Garrison on behalf of Development & Peace/Caritas Canada. 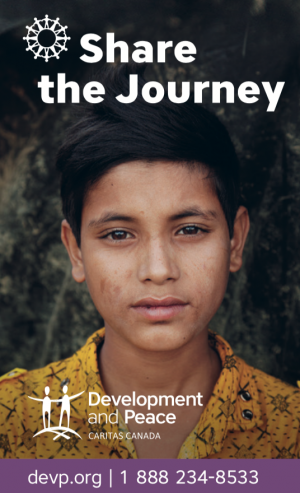 Kathy Weswick, Stan Dzbik and Margie Noonan were there to inform him about the latest D&P campaign "Share the Journey" which is focused on helping the 68.5 million displaced people around the world. We would like Canada to do more to address the root causes of forced migration by supporting grass roots organizations in the affected regions and by investing more in peaceful and diplomatic solutions rather than military solutions. Share your gifts/talents with our ministry: adults, youth, musicians, and crafty persons. Children over the age of 7 can prepare to receive the Sacraments of Communion and Confirmation. Visit the Knights on Facebook For more information, contact Steve Kearsey 370-0083.